It is said that humans are attracted to shiny things; we have this in common with magpies. So when Ailsa over at where’s my backpack lay down the challenge to illustrate the travel theme ‘shine’ I rummaged through my magpie-like photo collection to come up with these two. 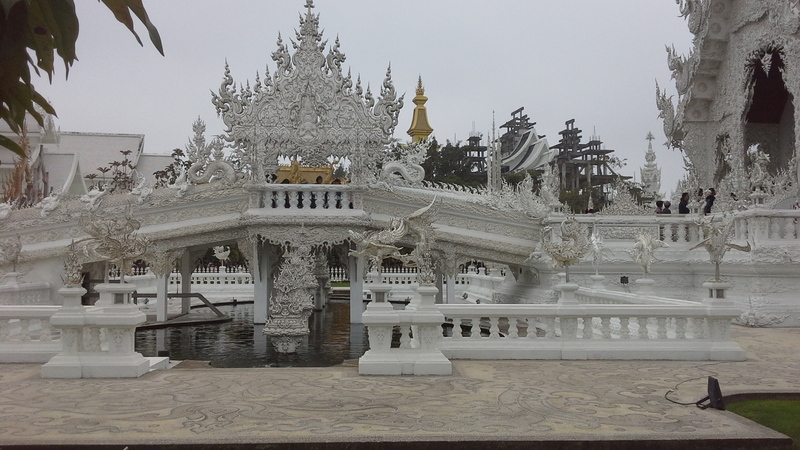 Firstly, the white temple in Chiang Rai, Thailand. Taken January this year. Wat Rong Khun is its proper title, but nobody ever remembers that. Secondly, here’s Hyde Park, London taken very early in the morning in May. I had to cut through the park to get from Paddington to SW7 (damn tube disruptions) and stopped to take this.